The Looky Looky Bracelet is hand made in Colorado by former Marine Jerry Moran of Criffin Designs using new and repurposed aircraft aluminum and other materials. 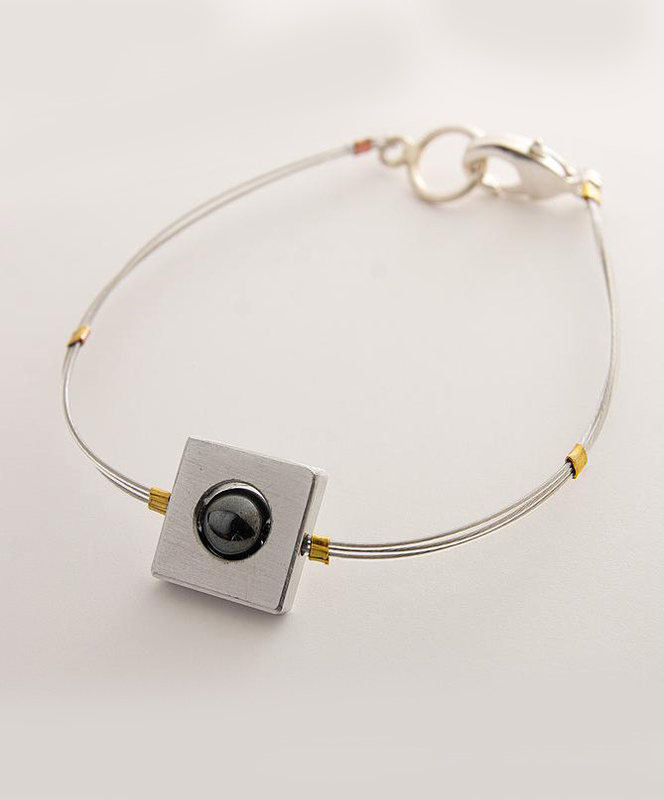 The bracelet measures 7" in diameter and is made with light weight Aircraft Aluminum, Hematite, Brass, with a Sterling Silver clasp. The Looky Looky bracelet from Criffin Designs is named after the nose art from a WWII Boeing B-17G Flying Fortress.